Use this unique shape in your next necklace creation! Pendant features artwork by Arthur Rackham. What is Faux Tin? 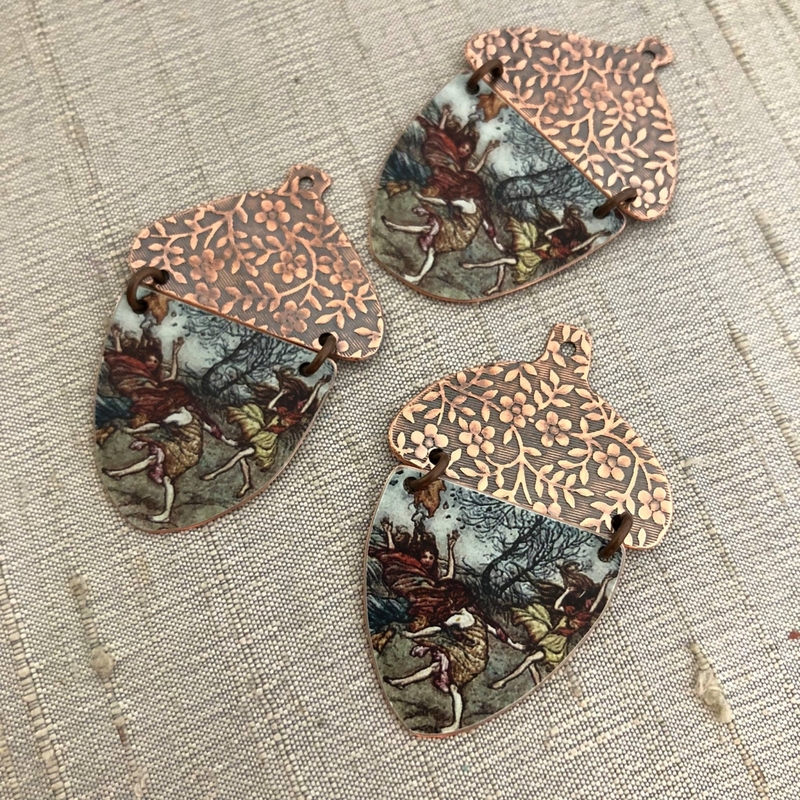 I created these to mimic recycled tins but they are actually images on copper metal. The image is permanently part of the metal, it will not scratch off and is water-resistant. The metal is light-weight but incredibly strong. All edges are satiny smooth. The floral pattern is etched copper. Pendant measures 1 1/2” L.
This item is made-to-order. Please allow 5-7 business days before your order ships. Each pendant is unique. Expect slight variations as part of the handmade process.